Newt Gingrich received $115,635 in donations on this day. Newt Gingrich received $79,770 in donations on this day. Newt Gingrich received $79,600 in donations on this day. Newt Gingrich received $13,350 in donations on this day. Newt Gingrich received $32,300 in donations on this day. Newt Gingrich received $56,651 in donations on this day. 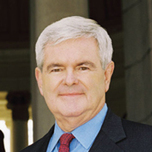 Newt Gingrich received $113,075 in donations on this day. Newt Gingrich received $106,700 in donations on this day. Newt Gingrich received $99,300 in donations on this day. Newt Gingrich received $82,950 in donations on this day. Newt Gingrich received $35,600 in donations on this day. Newt Gingrich received $13,400 in donations on this day. Newt Gingrich received $16,150 in donations on this day. Newt Gingrich received $5,000 in donations on this day. Newt Gingrich received $74,330 in donations on this day. Newt Gingrich received $96,554 in donations on this day. Newt Gingrich received $64,975 in donations on this day. Newt Gingrich received $11,500 in donations on this day. Newt Gingrich received $19,450 in donations on this day. Newt Gingrich received $79,245 in donations on this day. Newt Gingrich received $98,654 in donations on this day. Newt in Jacksonville: Super Committee is a "Super Disaster"
Newt Gingrich received $73,627 in donations on this day. Newt Gingrich received $140,500 in donations on this day. Newt Gingrich received $123,000 in donations on this day. Newt Gingrich received $63,520 in donations on this day. Newt Gingrich received $73,050 in donations on this day. Newt Gingrich received $163,400 in donations on this day. Newt Gingrich received $144,415 in donations on this day.